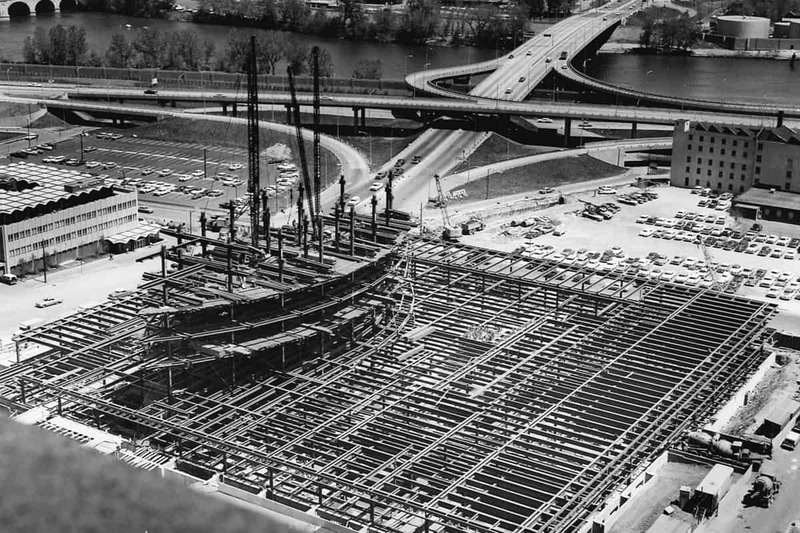 The official ground breaking ceremony took place on July 12, 1961. 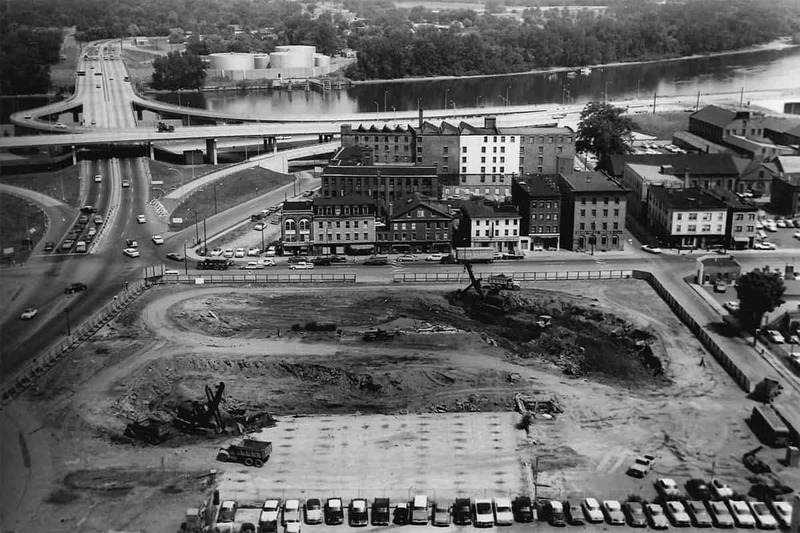 The quadrangle base surrounding "the boat" was also the foundation for Constitution Plaza - the first urban renewal project in Conn. and one of the earliest in the nation. The unique building cost no more than a conventional office building, but was 82 percent more space-efficient. The architects overlooked no detail in their design. 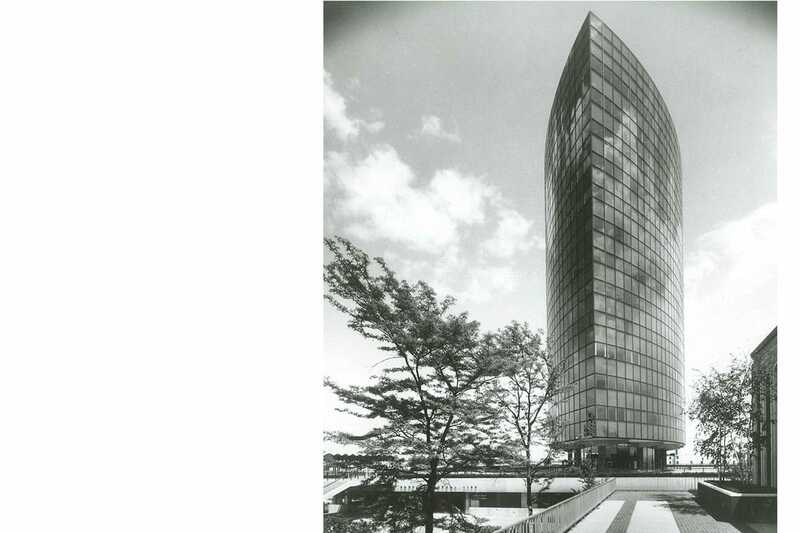 The 13-story tower is an elliptic lenticular cylinder with 200 windows per floor, totaling over 2 acres of glass. 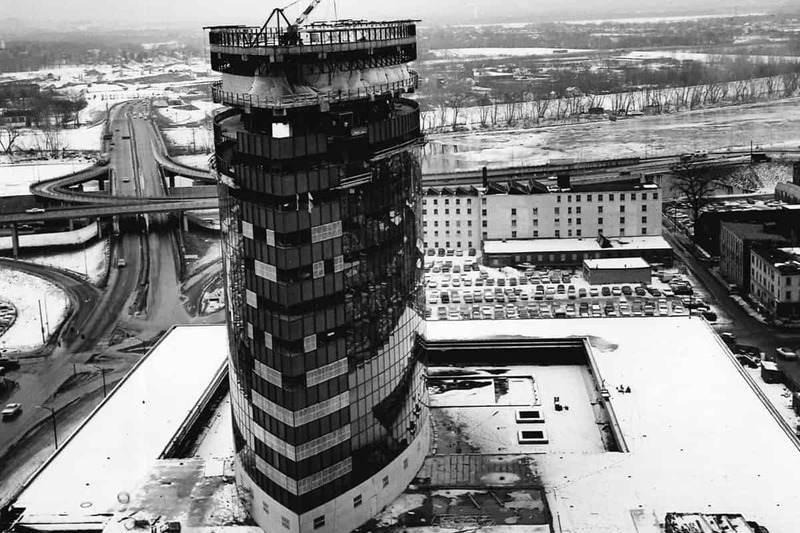 The official building opening, planned for November 24, 1963, was postponed due to the assassination of President John F. Kennedy. Instead, a brief dedication ceremony was held on December 2, and an official Open House on January 2, 1964. The Boat Building cuts a distinctive figure in the Hartford skyline. 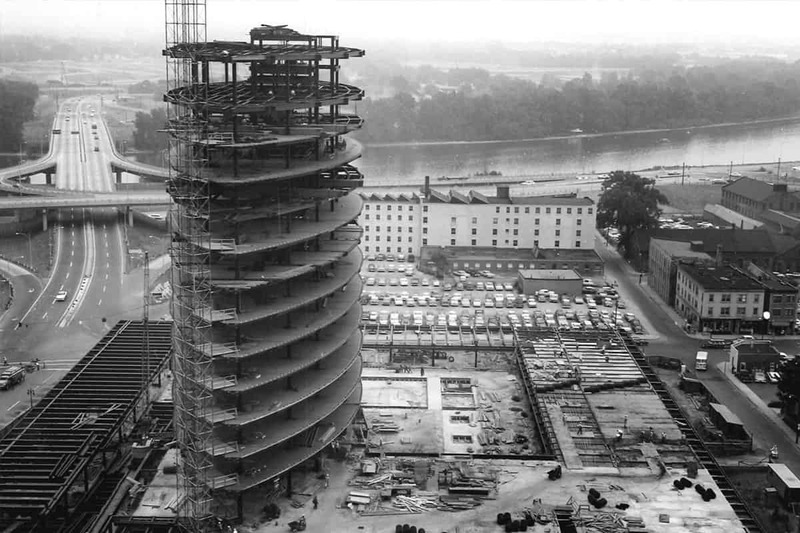 When the architectural plans were first unveiled in February 1961, the building immediately garnered attention and excitement. Locally, the move won praise as it signaled Phoenix's commitment to downtown Hartford. Nationally and internationally, the building drew kudos for the innovative architecture. The building construction took a little over two years to complete.